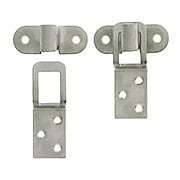 Premium stainless steel retaining clip set designed for wood screens or storm sashes that need to stay shut tight for the season. 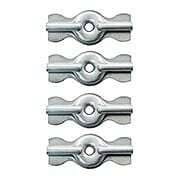 Each set includes two retaining clips with mounting bolts and wing nuts - enough for one sash. 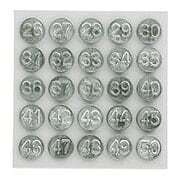 These old-fashioned turn buttons make it easy to install and remove your wooden screens and storm windows. 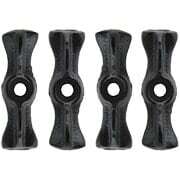 Made of steel with a zinc coating to help prevent rusting. 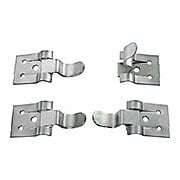 Premium stainless steel hangers designed for wood screens or storm sashes that need to open at the bottom for ventilation or egress. 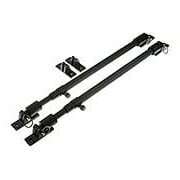 Each set includes 2 hooks & 2 hangers - enough for one sash. 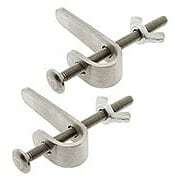 Use these stays for old fashioned wooden screens or storm windows that need to be propped up for ventilation or access. 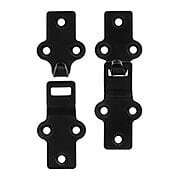 They are used in conjunction with top mount hanging fasteners. 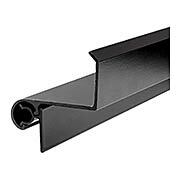 Overall length is 10 1/2". 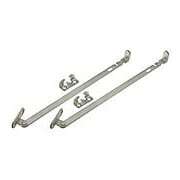 Premium stainless steel hanger set designed for wood screens or storm sashes that need to stay shut tight for the season. 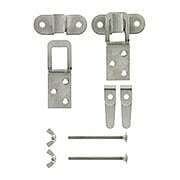 Each set includes 2 hooks, 2 hangers and 2 retaining clips with mounting bolts - enough for one sash. 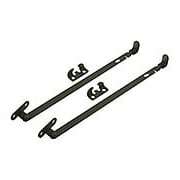 Heavy duty 1/8" thick steel hangers designed for wood screens or storm sashes that need to open at the bottom for ventilation or egress. Each set includes 2 hooks & 2 hangers - enough for one sash. 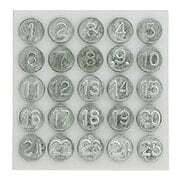 These vintage-style turn buttons make it easy to install and remove your wooden screens and storm windows. 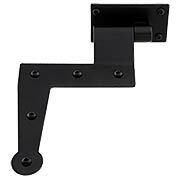 Constructed of heavy-duty cast iron, they provide long-lasting quality, and feature a plated black finish with copper highlights. 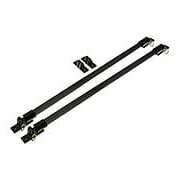 This set comes complete with matching flat-head slotted screws.